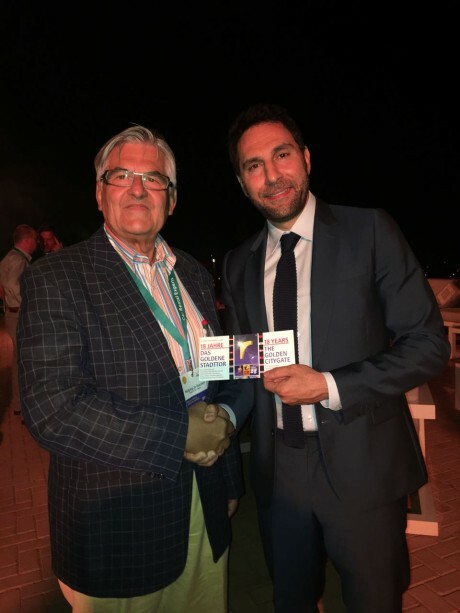 Wolfgang Jo Huschert, President of The Golden City Gate Award, used the evening to thank Haitham Mattar of the Ras Al Khaimah Tourism Development Authority for his participation in the competition and congratulated him once again on winning the First Star Award for his contribution. 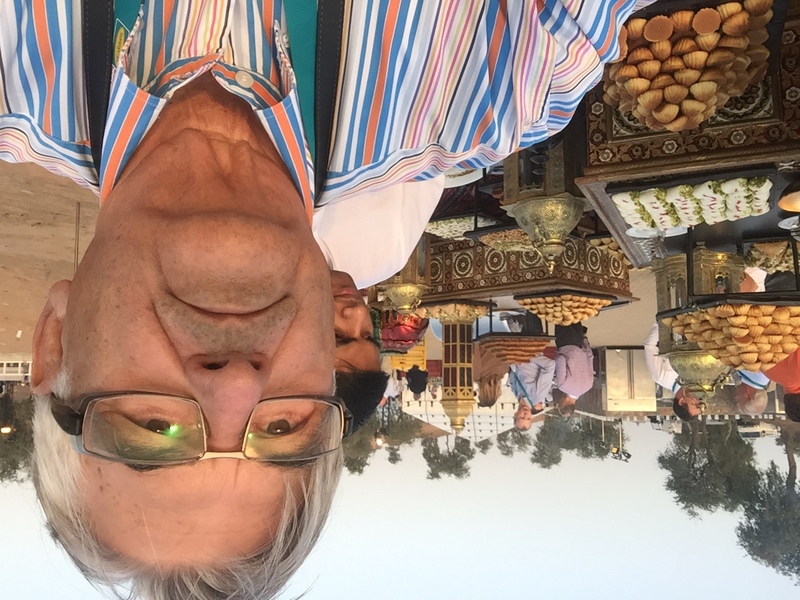 Mattar said, that the meaning of movies is getting more important to promote Ras al Khaimah in the global competition of destinations. He was very honored about winning the award for the first time. Wolfgang Jo Huschert also drew Haitham Mattar’s attention to the CIFFT-Circle on this occasion. The CIFFT-Circle is a consortium of 16 international country festivals which have shown more than 3000 films in 2017. The competition of “The Golden City Gate” is particularly unique in the Circle for also offering the Diamond Award, which can only be awarded to one of the winners in a category during the competition in Berlin. 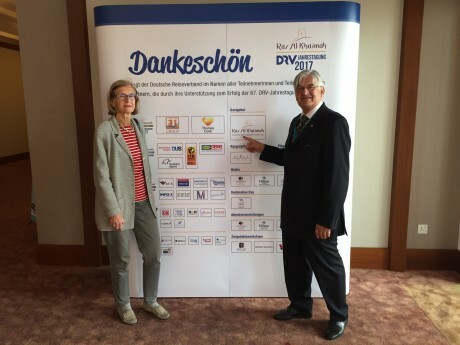 The award winners will be able to present their contributions during the trade fair days at the ITB in Berlin. The call to enter the competition of “The Golden City Gate” has just been launched. 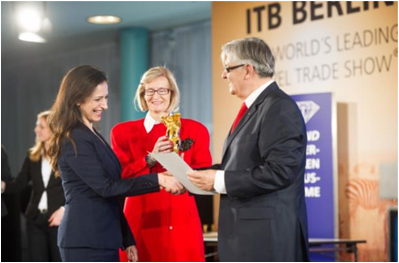 The next award ceremony will be held as part of the ITB Berlin in March 2018. Interested tourism professionals can find further information: www.the-golden-city-gate.com. Here they will have access to see the categories for the 2018th edition of “The Golden City Gate”. Films, commercials and other contributions from the tourism industry can be registered at any time on the website of the award. 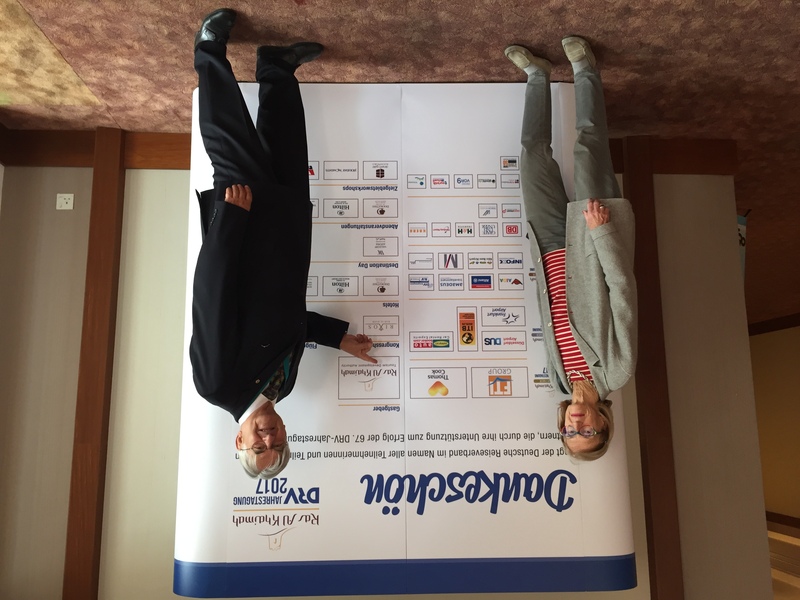 The couple Huschert promoting the Multimedia competition “The Golden City Gate”, here at the DRV annual meeting in Ras al Kahaimah.